This post is an excerpt from our newest free ebook, How to Optimize and Measure Your Pinterest Business Account. If you aren't up to date on Pinterest's new analytics and how to optimize your Pinterest presence, download the free ebook to get caught up! Yesterday, Pinterest launched free analytics for all users with a verified account. Finally, marketers have the ability to truly measure the success of their Pinterest marketing efforts! For those of you still plucking the petals off your social media flower saying, "Pinterest is worth my time, Pinterest is not worth my time, Pinterest is worth my time, Pinterest is not ... " stop and take a look at this stat from comScore: Pinterest buyers spend more money, more often, and on more items than any of the other top 5 social media sites. But how do you know it was a good idea to take the Pinterest plunge? 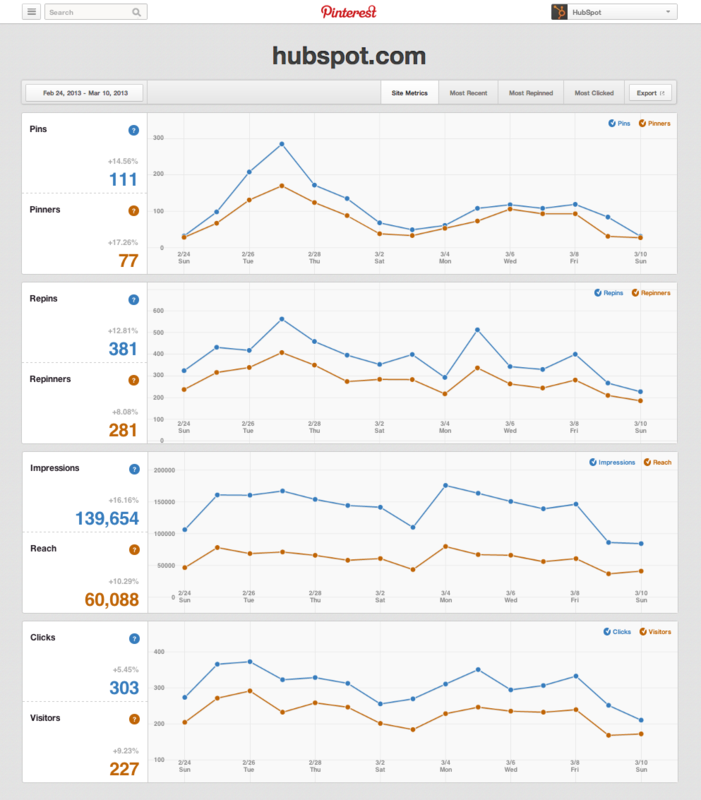 By measuring your Pinterest marketing using analytics, of course! In this post, we’ll delve into everything you need to know to measure the success of your Pinterest marketing -- now that some new, critical tools have rolled out to help you do it. Let's get started. 1) How is my Pinterest account performing on Pinterest? You want to understand how your actual business account is performing. 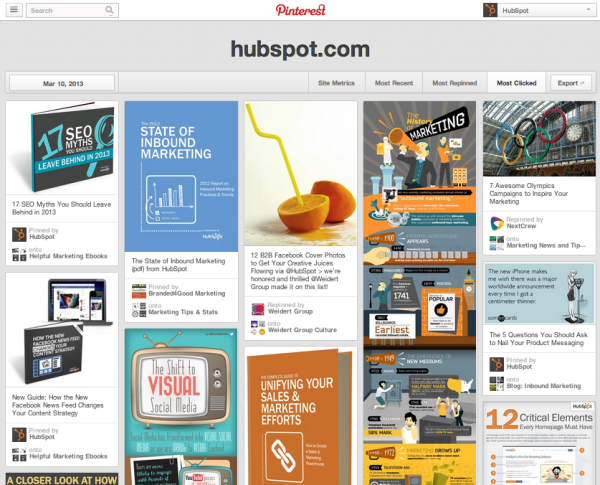 This will provide insights into engagement on Pinterest, following growth, and overall reach. 2) How is my Pinterest account contributing to my overall marketing? Just as important as success on Pinterest is how Pinterest is integrated with your overall marketing strategy. As we say time and time again, none of your marketing efforts should live in a silo. Understanding Pinterest’s part in your marketing can illustrate how many visitors, leads, and ultimately, customers, Pinterest is driving for your business. As you know by now (because we've mentioned it, like, one million times), Pinterest has finally given the world analytics. To learn how to verify your account and access these analytics, check out our blog post from yesterday detailing it. The daily average number of pins, and the daily average number of people who pin, from your website: This metric can help you follow trends in your Pinterest content. For example, if you pin a picture of a baby kitten (d'awww) one day, and ferocious (or should I say furrrocious?) lion the next day, this graph could show you which strategy worked better -- adorable animal or aggressive animal. If you saw a spike on day one, but not on day two, you'll know the kitten was a better choice for your Pinterest content strategy. The daily average number of times pins from your website were repinned on Pinterest, and the daily average number of people who repinned your pins: The difference between the previous metric and this one is similar to the difference between a Twitter mention and retweet. While a Twitter mention or Pinterest pin lets you know how many people are sharing content related to your account, a retweet or repin shows what content is most engaging with your audience -- the people likely already following you. But, it also indicates how much crossover you're seeing from your website audience, to your Pinterest presence. The daily average number of times your pins appeared on Pinterest in the main feed, in search results, or on boards: Think about how amazing your life would be if Facebook told you exactly how many time your status updates appeared in the Facebook News Feed. Uh, that'd be pretty darn stellar. Pinterest is essentially sharing its own equivalent with this metric. This will help you gain an understanding of your reach -- how popular is your content to the point of reaching the main feed, landing in Pinterest search results, and being pinned/repinned on boards. The daily average number of people who saw your pins on Pinterest: This as simple as it sounds. It highlights how much many people actually saw your pins. This metric is beneficial in measuring your growing visibility on Pinterest, and how many eyes your visual content is actually landing in front of. The daily average number of clicks to your website that came from Pinterest: While we'll get into a more meaty way of analyzing this metric in the next section, Pinterest is now helping track how many clicks your pins are actually sending to your website. This is vastly different from how other social media analytics tool work, giving you further insight into the business benefit of using Pinterest for your business. And as we mentioned in our blog post yesterday, you can also select and of the other tabs -- Most Recent, Most Repinned, and Most Clicked -- to get metrics on your pins. When you click on the Most Clicked section to see which pins received the most clicks, for instance, you'll see something like this that shows ... well ... the most clicked pins. Pretty straightforward. But who knew data could look so pretty? Now that you’ve gandered at your free Pinterest analytics, you want to ensure you’re measuring your success with all the information available. What you’re tracking with this formula each month is how your following on Pinterest is growing. How high or low the percentage is the first time you calculate is irrelevant. What’s important is how that percentage changes over time -- you want the percentage to grow! Let’s plug in a few test numbers to see how this works. The result is 0.339, or 33.9%. Voila! You now have everything you need to measure the success of your Pinterest presence. Remember, a large following helps showcase your reach, and reach translates into more opportunities for lead and customer conversion. Which is exactly what we're about to dive into in this next section! While Pinterest’s analytics shows you how your Pinterest profile is performing, it doesn’t paint the full picture. In addition to measuring growth on Pinterest itself, you want to see how all that clicking and repinning translates into results for your business. Set up proper analytics tools that can help you track your social media traffic and leads from Pinterest to your website. Adding a token like this to the end of a link you share on Pinterest tells your analytics software 1) which channel your visit, lead, or customer came from (in this case, social), and 2) which social source the person came from (in this case, Pinterest). While understanding the amount of traffic coming from your Pinterest marketing is important, you should also look at which pieces of visual content are driving the most Pinterest success. That's where campaign tags come in. The list could go on and on, but you get the gist. Now that you have your tracking and campaign tokens set up, let's look at the five key metrics to follow with these tokens in place. Visits to your website from Pinterest are reflective of the amount of referral traffic your website has attracted from Pinterest. Traffic figures help you understand how successful your Pinterest efforts are at driving traffic to your website. While such information can help you diagnose deficiencies in your Pinterest content, visits can't be the only metric you track. Hence, the next four. Contacts is the number of new people (which you may or may not classify as leads for your business ... it just depends on your terminology), who have shown interest in your company. This interest is displayed through a conversion on a form on your website. As a result, this visitor has now been added to your contacts database, and classified as a lead/contact. Whether these people became contacts by downloading an ebook, providing their information to redeem a coupon, or submitting an application for a job, they have shown actual interest in your brand for some reason or another. In HubSpot's software, for example, the 'Contacts' metric emphasizes the "new" concept, since conversions are only counted in the Contacts metric if they are net new leads -- as opposed to re-conversions. That simply means that if Joe downloaded your 25% OFF coupon for a purple hand bag, the next time Joe fills out a form for a coupon, he will not be counted as contact -- he became one the first time he converted! Either way, these are your potential customers. It's time to start nurturing them, or if they're already ready, rotate them to Sales. While visits are important for understanding the traffic Pinterest is sending to your website, and a raw contacts number is important for understanding all the new opportunities to nurture leads and close deals, in order to measure your marketing effectiveness, you also need to track the rate at which your visitors are converting into contacts. In other words, your visit-to-contact conversion rate. This will not only enable you to analyze your Pinterest success month-over-month, but it will also allow you to spot problems in your Pinterest strategy. For example, if your traffic volume is high, but your visit-to-contact rate is low, you have a conversion problem on your hands, and need to figure out through optimization, more compelling content, or both, how you can get more of your Pinterest following converting on your site. Oh how we love customers! To follow the path we’ve already described, a customer that can be attributed to Pinterest is someone who came to your website from Pinterest, converted into a contact/lead, and then ultimately closed as a customer. Tracking this number is the true measure of your Pinterest marketing ROI. After converting, be sure you sustain your relationship with these customers via the engagement metrics discussed in the earlier section. Last but not least is your contact-to-customer conversion rate. As we mentioned with the visit-to-contact rate, while it’s important to look at a raw customers number, it’s even more important to look at the rate at which your leads are turning into customers. This metric can help you identify problems in Sales' ability to close your Pinterest contacts as customers. For instance, if you notice your contact-to-customer conversion rate is on the low side, it might make sense to talk to your sales team to diagnose the problem. Are they having trouble working these types of leads? Should these leads be entered into a new lead nurturing workflow in order to better prep them for a sales conversation? Or are they best leads ever to be rotated to your sales organization, and you should find a way to get more? Whatever the case, this can help you make important prioritization decisions in your marketing. Now that you know how to measure your Pinterest marketing success, learn more about optimizing your Pinterest account for even more success. The success is just... boiling over, you guys. Our latest ebook, How to Optimize and Measure Your Pinterest Business Account, will dive into how to verify your business account, which Pinterest widget buttons to use in your marketing, and provide a review on how to measure it all! 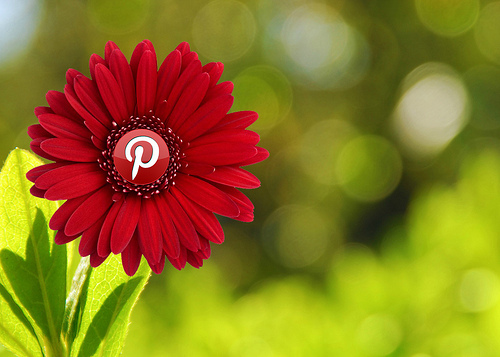 Are you using Pinterest for your marketing? How do you plan to measure its effectiveness with the new Analytics? Any measurement ideas we haven't thought of?